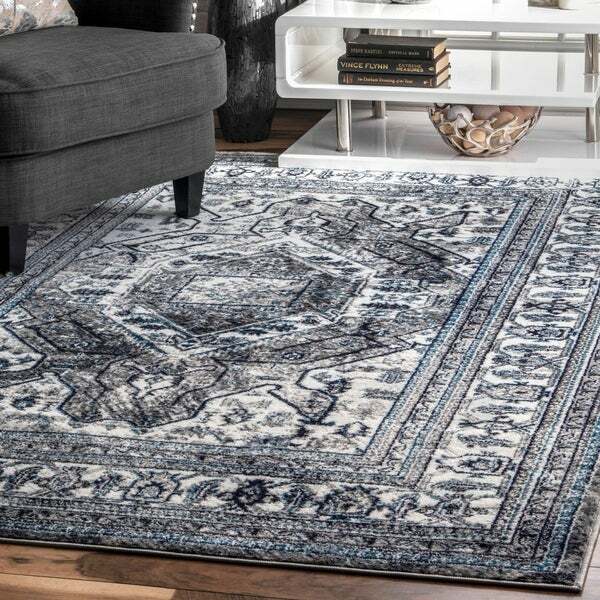 Evry Gray & Blue Vintage Heriz Area Rug - 7'10" x 10'3"
This machine-made 100-percent polypropylene rug features a transitional style with a modern color palette and abstract design. Constructed in a durable yet soft polypropylene construction this beautiful rug will make a wonderful addition to any room. I didn't unwrap it all the way to see the rug colors itself. As soon as I started to unwrap it from delivery, I noticed that it is very cheap looking and super thin. I returned it.